Scríbhneoir taistil agus úrscéalaí Meiriceánach is ea Paul Edward Theroux, a rugadh ar 10 Aibreán 1941 i Medford, Massachusetts. Leabhar taistil leis, The Great Railway Bazaar, a thabhaigh aitheantas dó sa bhliain 1975. Tá a bheirt mhac, Marcel agus Louis, ina scríbhneoirí freisin, chomh maith le bheith ina léiritheoirí agus láithreoirí teilifíse sa Bhreatain Mhór. Tá beirt dheartháireacha ina scríbhneoirí, mar atá Alex agus Peter Theroux. Nia leis an t-aisteoir Meiriceánach Justin Theroux. Tógadh Paul in Massachusetts. Caitlicigh ab ea a mhuintir. Ceanadach Francach a bhí ina athair agus ba de shliocht Iodálach í a mháthair. Eagle scout a bhí in Paul nuair a bhí sé óg. Bhain sé céim baitsiléara amach sa Bhéarla in Ollscoil Massachusetts. Chaith Paul tamall sa Peace Corps, ag múineadh sa Mhaláiv san Afraic Thoir. I ndiaidh dó a bheith ruaigthe den tír úd, fuair sé post mar mhúinteoir ag Ollscoil Makerere in Uganda. Thosaigh sé ag foilsiú scéalta san irisleabhar Transition sa tréimhse sin. Ina dhiaidh sin, chuir sé faoi in Ollscoil Náisiúnta Singapore. Faoi dheireadh agus an bheirt mhac saolaithe cheana acu, chuir Paul agus a bhean chéile, Anne Castle, aghaidh ar a tír dhúchais sise, Sasana. In Dorset agus i Londain a chónaigh siad. D'fhan Paul agus Anne le chéile ó 1967 go 1993. 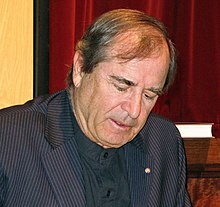 D'éirigh Paul Theroux mór le V. S. Naipaul, scríbhneoir as an Tríonóid agus Tobága a bhí ina chónaí i Sasana freisin agus rinne tionchar ar Theroux. D'éirigh eatarthu ní ba dhéanaí. Inniu, tá cónaí ar Paul Theroux ar Maui, oileán i Haváí agus caitheann sé cuid den bhliain in Cape Cod, in Massachusetts. Tugadh an leathanach seo cothrom le dáta an 15 Meitheamh 2017 ag 21:22.